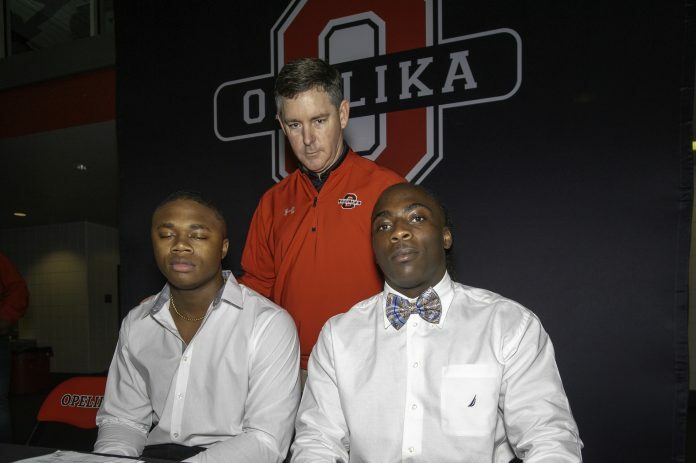 Two accomplished Opelika High School seniors signed their collegiate scholarships today, part of the “National Signing Day” festivities taking place across the country. 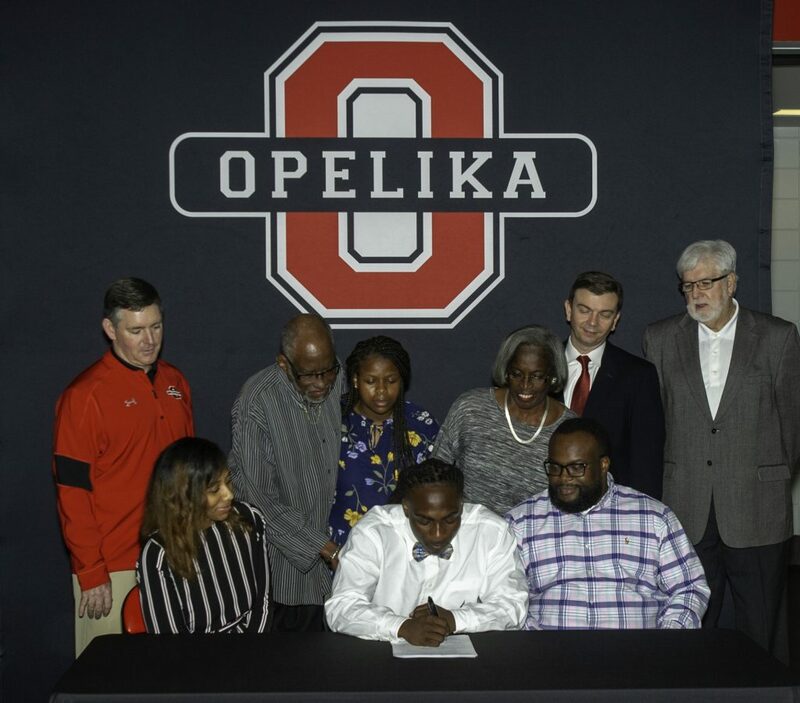 Outside linebacker JaQuan Foote and running back Brantan Barnett committed to Austin Peay State University and Mississippi College, respectively. Following a high-ankle injury that derailed his junior season, Barnett returned in stellar form, rushing for nearly 1,400 yards and 20 touchdowns. He joins a competitive Choctaw program that is looking post its first winning season since 2009. Foote was a key contributor on a tenacious Bulldog defense that limited opponents to 23.7 points per game. He finished with 46 total tackles, including 30 solo tackles. The FCS-level Governors are looking to post their first winning season since 2017. 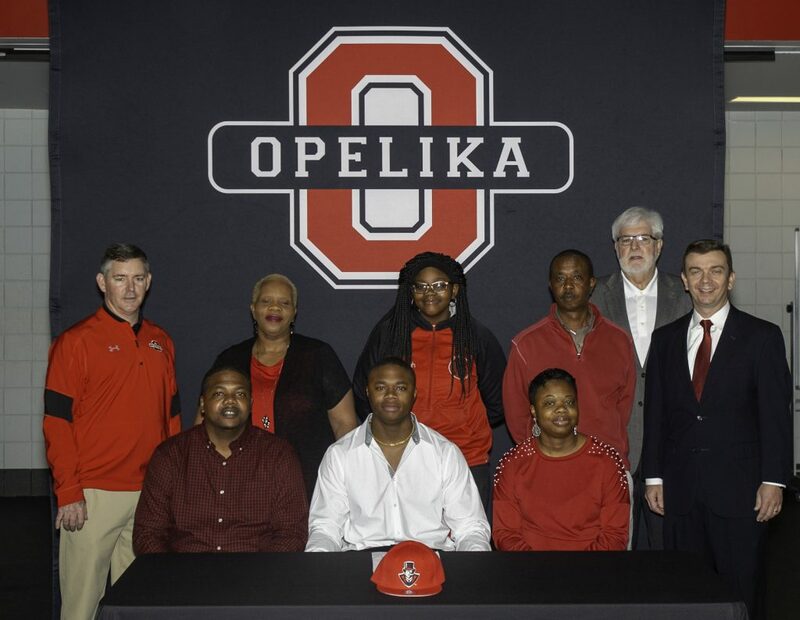 For more information on Opelika athletics, visit www.opelikaathletics.com. View the gallery below for more photos taken from today’s signing by photographer Robert Noles.